Lawrence Philips is a former football player from America, who is at present serving sentence in the Kern Valley State Prison of Delano. He was a two time national college football champion from University of Nebraska, but his career got destroyed due to ongoing troubles encountered with his personal life. Starting his career in 1996, Lawrence played for teams like Miami Dolphins, Florida Bobcats and St. Louis Rams, and also won the coveted Grey Cup Championship in 2002. Born in Arkansas, Lawrence moved to California in his later years and grew up in foster homes. He completed his freshman as well as sophomore years in the West Covina High School, California, and then attended the Baldwin Park High School for further education. Here, he won consecutive CIF championships for which he was noted by the University of Nebraska. During his freshman year at the Nebraska, Lawrence became a prominent player, and helped in winning Pac-10 championship UCLA. Almost all the carries of Phillips came in the 4th quarter, and scored a 12-yard touch-down run. By the 2nd year, he faced offense due to injuries to Brook Berringer and Tommie Frazier, the quarterbacks. In 1996, St. Louis Rams drafted him as the 6th overall in the NFL Draft. But he was soon within 2 years due to his inability to stay trouble-free, in addition to inconsistent performance. Later, he moved to Miami Dolphins, but released after only 2 games, as he got accused of assaulting a woman in a Florida nightclub. After missing the 1998 season, he came back to NFL Europe in 1999, and set offensive records with Barcelona Dragons. 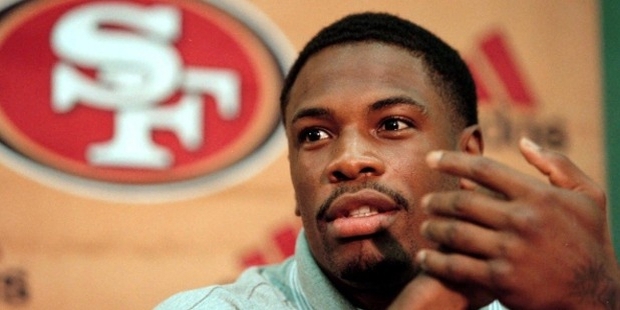 In 1999 fall, he joined San Francisco 49ers, but Bill Walsh, the general manager, already warned him that they would cut him out if he gets into another trouble. But his performance deteriorated significantly, and he was finally released. In 2001, he signed with Florida Bobcats of AFL, but released even before playing a single game. Then, he moved to Canadian Football League, but was released for not meeting the minimum behavioral standards of the team. Being imprisoned several times, he has charges of assaulting Kate McEwen, his ex-girlfriend, running a car into a group of teenagers after a dispute, and choking a former girlfriend to the point of unconsciousness. In 2008, he was sent to the California Dept. of Corrections & Rehabilitation. In 2009, he was sentenced for 25 years imprisonment, which means that he cannot be released until 57 years of age. In 2015, his cellmate, Damion Soward, was found dead within the cell, for which Phillips became the prime suspect. Lawrence Philip was died on 13thJanuary 2016.